From Haunted Calgary to a Paranormal Halloween Party, here's what's up this weekend in YYC. From Haunted Calgary to a Paranormal Halloween Party, here’s what’s up this weekend in YYC. Are you ready for 10,000 square feet of scares? One of Calgary’s largest and spookiest walk-through haunted yard attractions, Haunted Calgary, is back this October with the theme of “Hollywood Horror.” They aim to be the scariest haunted attraction you’ll see so use your discretion for this event. “Low scare” hours are available between 2pm-4pm where there will be few to no actors. Then, only if you’re brave enough, come back for the real thing at night. Proceeds will go towards supporting the Calgary Animal Rescue Society and the Calgary Food Bank. After a 13-year hiatus, Project X returns for one night this weekend. Explore nine haunted houses in this terrifying and exclusive event. The website claims everyone makes it through Project X, but if you need to sneak out, there will be “chicken doors” available too. If you want to be extra spooked, bring an intimate group – they’ll be offering bigger thrills for your smaller crew. On October 27th, bring your crew over to TELUS Spark for one of the city’s hottest Halloween parties. Enter the mad science lab of horror as you eat, drink, play and dance the night away. 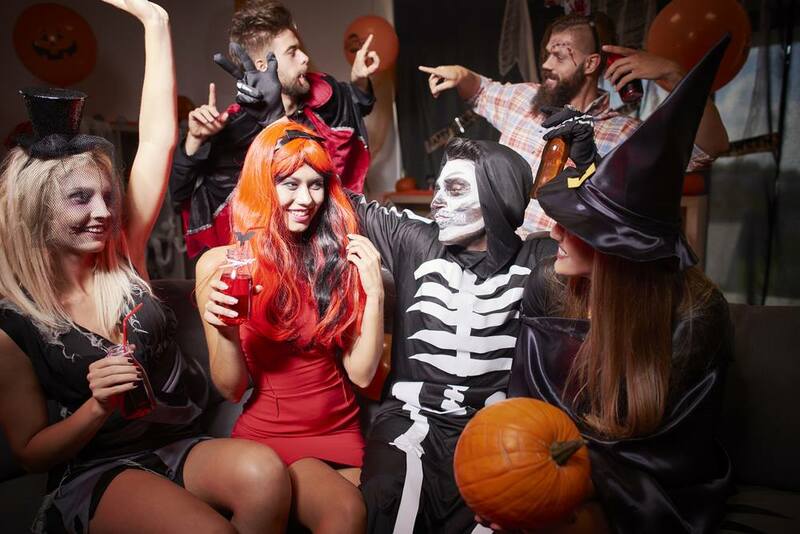 Don’t forget to dress up in your costume as they treat you a thrilling night of adult fun where the only thing spookier is the FOMO. There will be music from DJ Joanna Magik, a silent disco dance party, delicious food, a classic “Thriller” dance lesson, photo ops and full access to their galleries. If you love scary movies, then this 18+ event is for you. Bring all your homies to Globe Cinema to start off your Halloweekend activities. The Calgary Underground Film Festival will be showing scary movies for 12 hours straight – that means 7 movies from 7pm until 7am the next day. Come for one, come for them all, or drop in and out – the choice is yours. They’ll have a costume contest at midnight as well as giveaways and surprises throughout the night. If you make it ‘til 7am, they’ll even serve you a free breakfast for being such a trooper. Rose and Crown, the former funeral home turned pub, will be hosting an epic Paranormal themed Halloween party this Sunday. Join Ghost Hunt Alberta members as they share paranormal stories and evidence with you and take you to investigate an area of the pub. Come in your costumes – awards will be given to costume of the night, funniest and best paranormal themed costume. Psychic readings will be available for cash with 50% of the proceeds going to a local charity.